Today I am happy to present my first Guest Blogger, a man who I had the good sense to marry more than 30 years ago. He’s a great cook, an even better baker, and he’s got a message for moms of public school children everywhere. Call me the Lunchroom Lady. Everybody else does. I’ve worked in food service nearly all my life. I started in 1974 as a 12-year old dishwasher, at a dive called the “Mouse Trap” in Steamboat Springs, CO. In 1979, at the ripe old age of 17, I joined the Marine Corps and was handed an apron along with my rifle, and I’ve been cooking ever since (for those like my lovely bride who find themselves numerically challenged, it’s been 35 years!). For the past 12 years I have been working in food service at a public school in northern Virginia. I think I am qualified to talk about school lunches. Over the past couple of years I have read stories about and seen pictures of disgusting school lunches. Their poor quality was blamed on the implementation of The Healthy, Hunger-Free Kids Act. Last night I read a story accompanied by a not-so-flattering picture of a school lunch recently served in Portsmouth, VA. Though I agree that the meal in question was sketchy at best, I would implore you not to judge all public school lunches and school nutrition workers by these incidents. I would never serve that to my own child (who is still in school) let alone someone else’s, and I’m pretty sure most of my fellow food service managers wouldn’t either. I take my responsibility seriously. Feeding your children is my ministry. Students do not get in way of my job; they are the reason my job exists. Sixty percent of our students receive free or reduced price meals and I strongly believe that for many of these kids, the food we provide is all the food they eat that day or at least a large portion of it. When I saw this picture, I felt ashamed, embarrassed and disappointed. I am ashamed that my fellow school nutrition workers would serve it. I am embarrassed because this type of story can cause people to cast us all in the same light. And I am disappointed that the Food Services Coordinator, when questioned, blamed poor lighting and presentation. A wise man once told me, “no matter how much lipstick you put on a pig. 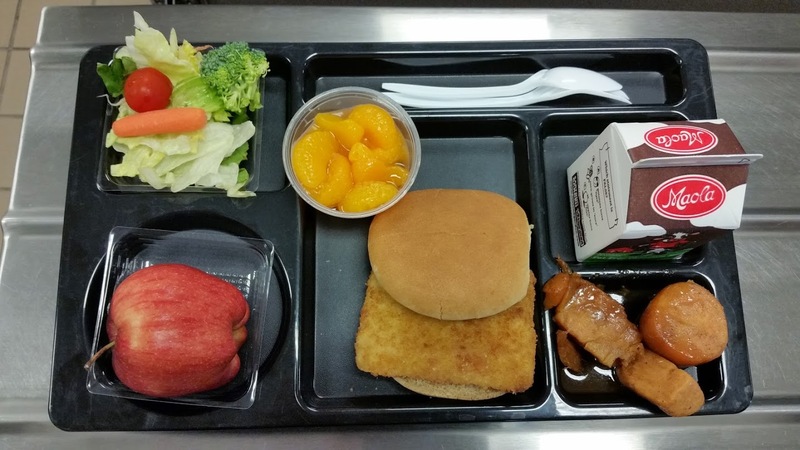 . . ” The blame for this meal rests squarely on the shoulders of the Portsmouth, VA Public Schools Food Services Coordinator and the cafeteria staff that prepared and served it. The new regulations are not the culprit, nor do they justify poor service. Lunches served in public schools under The Healthy, Hunger-Free Kids Act were never intended to be, nor will they ever be 5-star meals. They are meant to be good, basic and nutritional. It can be a challenge but it is not impossible to find foods that meet the requirements of the new legislation and the expectations of our students. I’d like to believe that in her heart, Michelle Obama meant well (insert a picture here of me laughing hysterically) when she championed The Healthy, Hunger-Free Kids Act and the resulting changes. Keep in mind that these changes affect only those public schools that participate in the USDA’s National School Lunch Program. Private schools and public schools that opt out of the program are not bound by the same dietary restrictions. However, no amount of government intrusion gives us the right to offer anything less than our best efforts in trying to serve good meals. The impetus behind The Healthy, Hunger-Free Kids Act is that by some accounts one in three young Americans are overweight or obese and school cafeterias were chosen to be the front line to fight this battle. I do not believe that school lunches are responsible for making our kids unhealthy. Our lifestyle does. We need to get our kids away from computers, TV’s and game consoles, and away from fast food, junk food, and sugar-filled drinks. 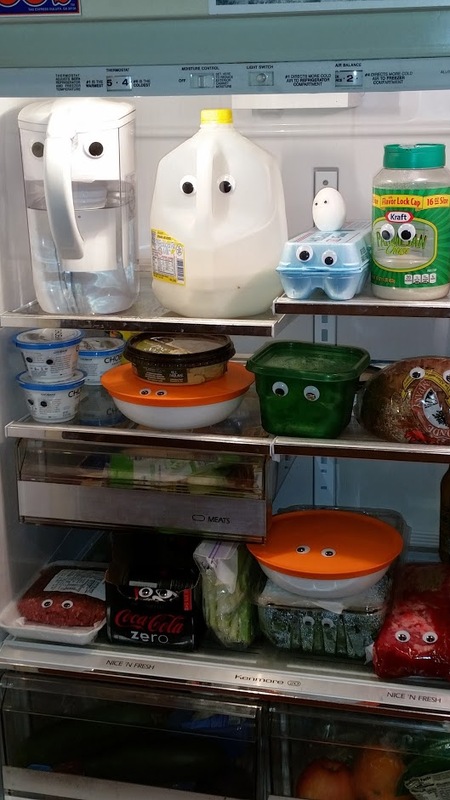 We need to get our kids out of the house. Teach them joys and benefits of hiking, biking and running. If we don’t do more to change their overall lifestyles, then our kids will be overweight no matter how many fruits, veggies and whole grains we offer at school. I am not in favor of the federal government telling us how and what to feed our kids. We should serve the best meals possible because it is the right thing to do, not because Big Brother is watching. I encourage all parents to be involved in the meals your kids eat at school. Be aware of what is on the menu; ask your children if the menu matches what is being offered. Visit your school and have lunch with your children. Take any concerns to your school’s cafeteria manager. We appreciate your input and if something is wrong, we will work to set it right. The meal to the right was not created for this blog. 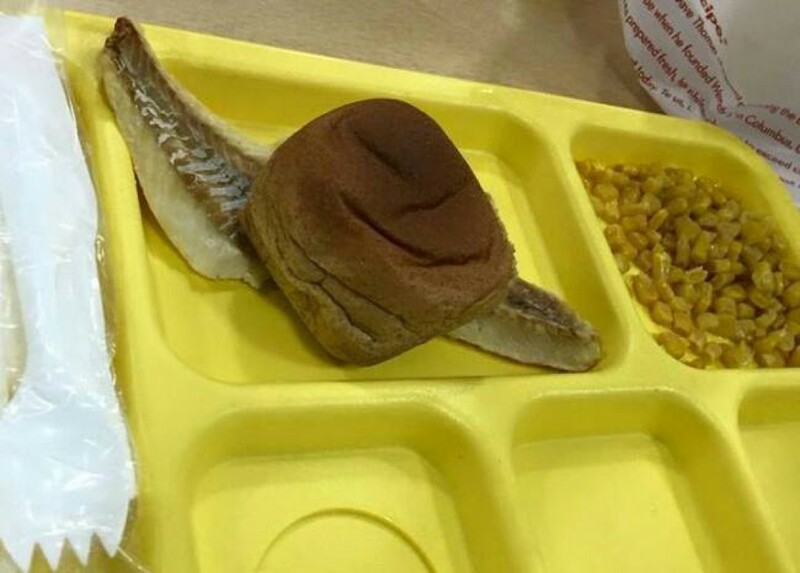 This is what my staff served on fish day at our school. The lighting is a lot better in our meals, don’t you think? As much as I have enjoyed cutting in on the Portrait Writer’s space, you’ll have to excuse me. I’m expecting about 625 guests for lunch. That’s a whole lotta’ fruits, veggies, whole grains, and . . . well, you get the picture. Married for life. It’s not a game. Over the winter, while you’ve busied yourself with life and other urgent matters, your team has been maturing, purging what you thought were endearing qualities, and growing longer beards until everyone on the roster looks like Jayson Werth. My Washington Nationals lost their first game this year. More than a little disappointing. Then they eked out a win Wednesday and lost yesterday. They’re struggling, and I find myself wanting to leave the room rather than watch them unravel. Who is this pitcher? Where are The Goggles? Who’s this guy on first? LaRoche would never have missed that throw! If, like me, you’re thinking about walking away, don’t. You see, I was married before, to the NY Yankees in the late 1970s. It was a great time to be a Yankee fan, particularly since I lived in BoSox country and babysat for a man who didn’t care that it was illegal to gamble with one’s 16-year-old sitter’s pay check. Every time our two teams faced off, we went double or nothing and I brought home a serious bonus. I was in a good place, and my team couldn’t lose. Then, in the summer of 1979, my hero, Yankee catcher Thurman Munson, was killed in a plane crash. I was so devastated that I walked away from the game and didn’t look back. In a way, I was angry that the team could so easily move forward without Munson. I’m sure his replacement was a capable player, but I couldn’t see anyone else behind the plate. I know they finished 4th or 5th in the league standings that year, but I was no longer interested. Or so I thought. Over the next 30 years, whenever the Yankees fared well, I’d mumble a trite and whiny, “I used to be a Yankee fan.” I wanted to feel that excitement again, but it was gone. In a moment of pain, I’d given up my rights to any future celebrations with that team. There’s no such thing as a sort-of union. Then I met the Nationals. For two years I’ve cautiously invested time, getting to know the players, their strengths, and their character traits. I learned to wait for Denard Span to spin the bat 11 times before he settles in to hit. I learned that when Geo starts to mumble, he’s about to crumble and he’ll soon be taken out. I learned that a healthy Zimmerman can play anywhere, and there’s no such thing as too many good players. 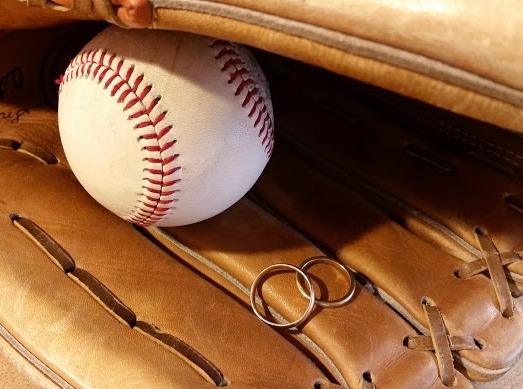 I dared to love again, and by mid-season last year I was back on a baseball high. Now I’m not sure about anything. Half my favorite players have been traded and the others are starting the year injured. There are so many new faces on the field, I feel like I’m the stranger here. Plus, I’ve become too busy over the winter to sacrifice that kind of attention again. Perhaps they’ll be fine without me. However, I’ve learned from watching my husband that I cannot give up. He was a football fan when I met him, and he saw the Broncos through some dismal seasons over the years. At one point in the late 80s, I could barely watch games with him because it hurt my heart to see him become despondent. Yet, every week he’d be at it again. Hopeful. Dressed in blue and orange. Bronco flag waving proudly in front of our home. When the Broncos won back-to-back Super Bowl championships in 1998 and 1999, my husband’s joy was uncontainable. And why shouldn’t it be? His loyalty paid off, and the victory was all the sweeter because of the steep climb he’d made alongside his beloved team. So, I will announce to all the world, I am a Washington Nationals fan. The season ahead looks tough, but it’s just a season. I will find those things about my team that haven’t changed, like their work ethic, their genuine encouragement and concern for one another, and their love of the game. We can build on that. They might let me down, but I’m not leaving. I think the most important thing I’ve learned is that supporting an untested team is not nearly as meaningful as sharing their victory through struggle. No marriage is without struggle, but the rewards of facing trials together, finding common ground, and building toward a better season are bountiful and strengthening, and well worth the effort invested. Geo is pitching tonight against the Phillies. The Phillies, for Pete’s sake. He can take ‘em. And I’ll be watching, cheering, and hoping against hope that he not start mumbling. Even if he does, I’ll then pin my hopes on the next pitcher, the next play, the next game, even the next season if need be…whatever it takes to make it through. And the victory will be sweet. Yep, I’m married for the long haul, because I believe in my team. Oh, and I think I’m a Nationals fan for the long haul as well. Who’s the April fool now? So, instead of this being for him, the two of us give it to all of you.